The Ergo Chef Pro-Series Fully Forged 4 Piece Steak Knife Set is a perfect addition to any table setting. 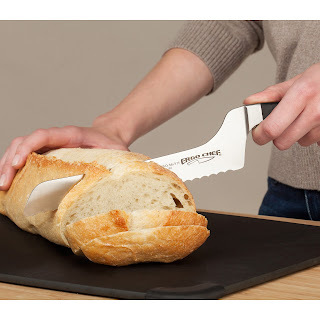 The simple yet elegant handle design compliments any table and provides comfortable control. 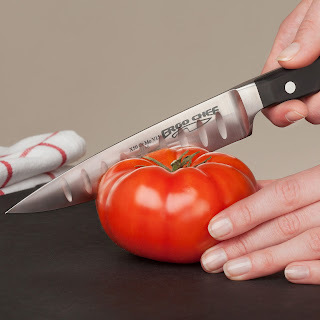 The blade has wide serrated edges that are razor sharp designed for perfect cutting of all red meat, chicken, pork & vegetables without tearing the food. The handle is crafted from POM a composite plastic for durability, and covers a full tang inside the handle all the way back to rivet for prefect balance and seamless bacteria control. 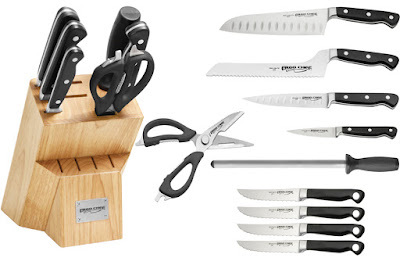 This set fits perfectly into most wooden knife blocks or can be stored back in the packaging for safe keeping. 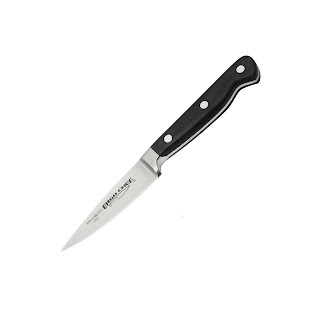 FEATURES:Blades: Fully forged German made Steel (X50CrMoV15) with specially designed wide serrated edges for smooth slicing into all meat and poultry. Quality & performance Guaranteed! Care: Hand Wash with soft sponge, Towel dry and store away after each use This Ergo Chef Pro-Series 11pc. 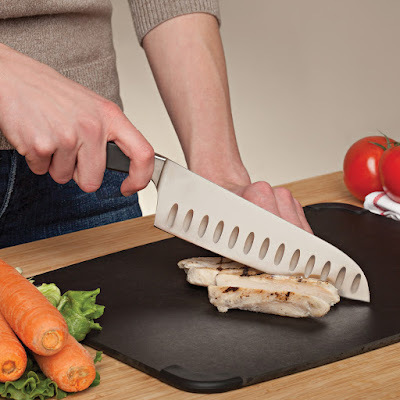 Knife Block Set comes with the following pieces forged from German Carbon Stainless Steel for durability. 7" Santoku, 8" Offset Serrated Bread knife, 6" Utility, & 3.5" Paring. 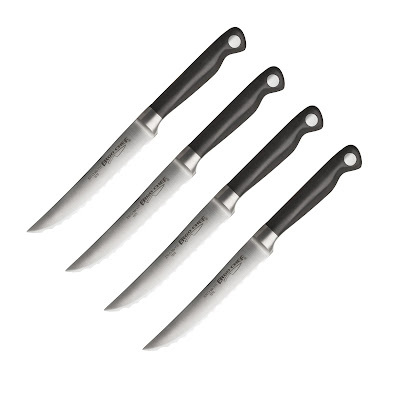 Four Pro-Series II stamped steak knives with full tang and serrated edges for smooth cuts of all meat & vegetables. Our Pro-Series Heavy Duty come-apart Multi-Function Kitchen Shears cut bone, open packages & even peel vegetables. The Pro-Series 10" Diamond Sharpening tool will keep all the knives sharp as new with a few light passes when needed. All pieces store safely in the 10 slot natural grain wooden block. Knife care: Hand wash with hot water, dish soap & a soft sponge. Towel dry & store to keep them looking as good as new.